"Tylee’s Jerky Human-Grade Dog Treats are made with 100% real meat—the same quality meat that you would eat. When it comes to dog treat recipes, Tylee’s knows that less is really more. The only ingredient you’ll find listed is pure meat that’s been thinly sliced and dehydrated to create a jerky that’s chewy and irresistible. This delicious snack delivers 74% protein and all the flavor your dog craves. To keep every bite as fresh as the first, Tylee’s lets nature do its work by using a drying process instead of adding chemical preservatives. The result is a portable protein treat that you can take anywhere for spontaneous on-the-go rewards. 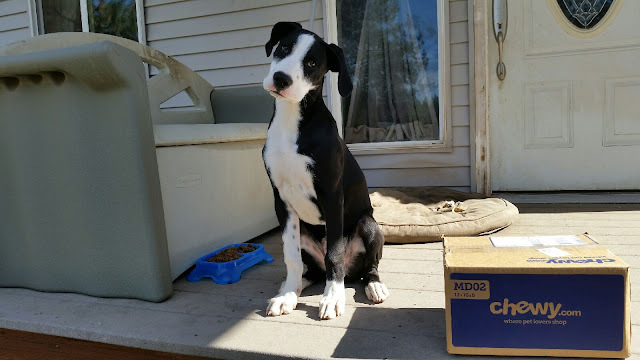 Break them into bite-size pieces for smaller pups, or to just stretch out treat time." 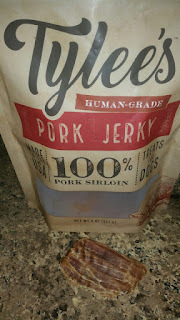 Zena and Thor loved Tylee's Jerky Dog Treats and I will most certainly be ordering them again!